A loan of $8,950 helped a member to reforest pine forests to harvest the sap. Cesárea, Sixtos and Alma have the fervent desire to prevent their families and other people from their native Cherán Atzicurin in Michoacán, México from migrating to the United States. Cesárea, a head of household and homemaker, has decided to dedicate her time and her land to planting pine treas since she is certain and feels that the air is not the same and the heat continues increasing due to the scarcity of trees in the countryside of her community. Now, for her and her family, the challenge is to assure funds which will allow them to get the resources to establish and provide maintenance to their sap orchards since, unfortunately, her income from sewing is not enough to get ahead. Her goal by doing this work is to motivate her community so that, little by little, they participate in the care of the environment, so that they activate their land with pine trees, with the end of reforesting, contributing to improving the climate, and improving the social development in their community with new job opportunities. Cesárea knows that this project requires a lot of effort, a lot of work, and money, and it is so that she has a great hope that everything will become reality by being able to boost her efforts with the support that, through Kiva, she can get, and that she could not get in any other way. Cesarea, Sixtos y Alma tienen el deseo ferviente de evitar que su familia y más gente de su natal Cherán Atzicurin en Michoacán, México, migre hacia los Estados Unidos, Cesárea, cabeza de hogar y ama de casa, ha decidido dedicar su tiempo y sus tierras a la plantación de pino, pues asegura y siente que el aire no es el mismo y el calor aumenta cada vez más por la escases de árboles en el campo de su comunidad. Ahora, para ella y su familia el reto es asegurar fondos económicos que les permita adquirir los recursos para establecer y dar mantenimiento a sus huertos resineros, pues desafortunadamente sus ingresos por la costura no son suficientes para salir adelante. Su objetivo al realizar este trabajo es motivar a su comunidad para que todos poco a poco participen en el cuidado del medio ambiente, para que activen sus tierras con la plantación de pino, con la finalidad de reforestar, contribuir a mejorar el clima y mejorar en su comunidad el desarrollo social con nuevas oportunidades de empleo. La señora Cesárea sabe que este proyecto requiere de mucho esfuerzo, de mucho trabajo y de dinero, es así que tiene una gran esperanza de que todo se haga realidad al poder impulsar su esfuerzo con el apoyo que por medio de KIVA puede recibir, y que de ningún otro modo podría obtener. It helps communities plant income-generating, resin-producing pine trees. This Kiva loan will be used to provide borrowers with needed goods or services, as opposed to cash or financial credit. Please note that this loan term might be up to 15 years and that loan repayments will not start until the pine trees can be tapped (approximately 8 years after planting). This loan will cover the upfront costs of plantation establishment. Repayments are equal to 10% of annual resin sales and are due to Kiva lenders at the time of sale. This model generates income for the communities throughout the natural life of the pine trees. By supporting this loan you are providing flexible, risk-tolerant capital that enables Ejido Verde Reserves to offer 0% interest loans to indigenous communities. Ejido Verde Reserves is an NGO that works in Mexico to establish productive native resin pine plantations on indigenous lands. 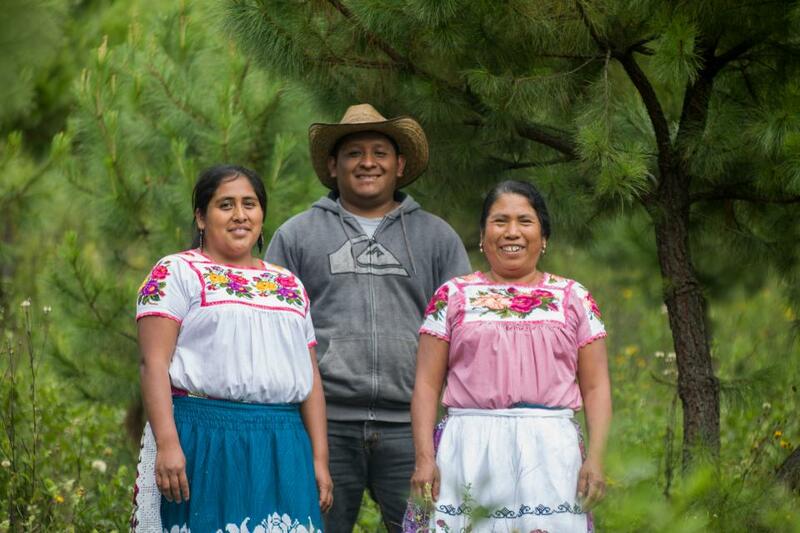 Kiva shares EVR’s mission of providing Indigenous populations in Mexico with the tools they need to emerge from poverty, while also helping the environment. Through long-term engagements with marginalized communities, EVR is able to establish pine plantations for resin tapping. These plantations, which will be funded by Kiva loans, increase tapper income by 500%, and provide annual income for the natural life of the pine tree (about 80 years). Kiva is excited to support EVR’s work to reforest Mexico while providing income-generating opportunities to forest dwellers.